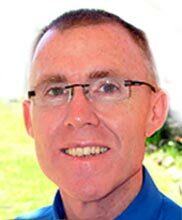 Peter is an Accredited Practising Dietitian and Nutritionist and the founder of Healthier You. He is also an accredited Sports Dietitan with Sports Dietitians Australia (SDA). He is a member of the American Academy of Nutrition and Dietetics. Before embarking on a career in nutrition, Peter held senior roles in the pharmaceutical industry working in a number of managerial positions in Australia and USA. Prior to embarking on a career in nutrition, Peter was Marketing Director for Australia and New Zealand. Peter’s passion for nutrition stemmed from his own personal health and weight loss journey. As a Dietitian and Nutritionist, Peter’s primary focus is weight loss. He has a particular interest in reduction of abdominal obesity and how this can improve outcomes of chronic diseases such as diabetes, heart disease, stroke and cancer.